New for 2016! 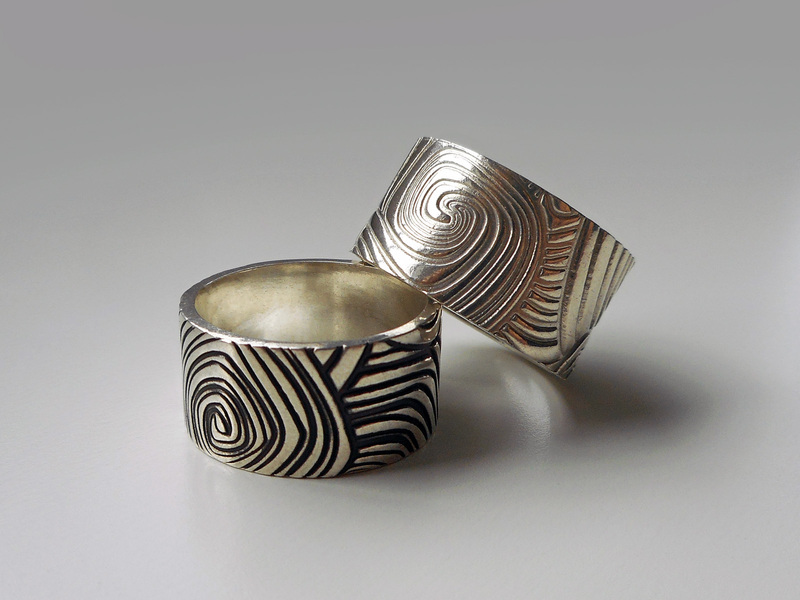 A one-day introduction to ringmaking with metal clay. Metal clay is a revolutionary product which comes in an easily manipulated clay form. During kiln firing (some clays can be torch fired) the binders are burnt out and the clay becomes solid metal. In this class we’ll make ring bands with textures that run seamlessly all the way around the ring, using skeletonised leaves and regular texture sheets to form the pattern. 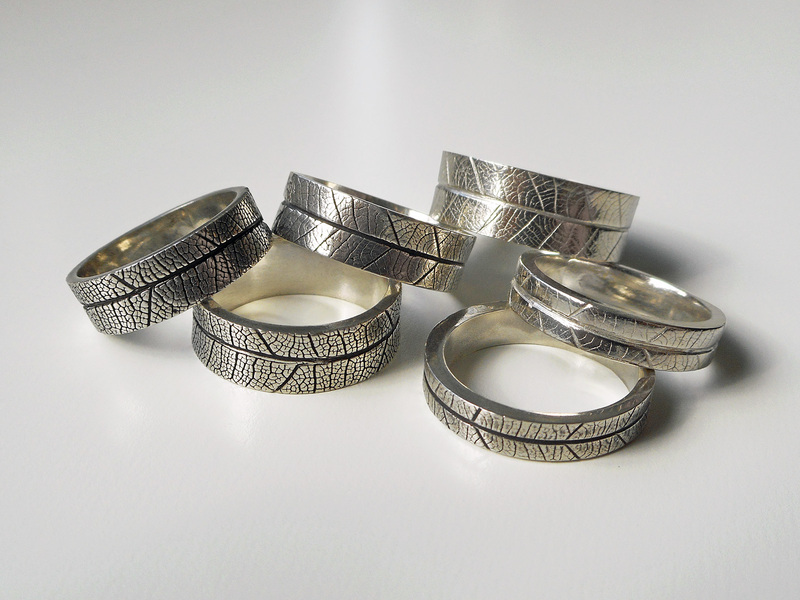 After refining and kiln firing your rings will be polished and finished so that they’re ready to wear. The number of rings you’ll be able to make will depend on your finger size, preferred band width and skill level, but all students should be able to complete at least one ring in the time allocated. 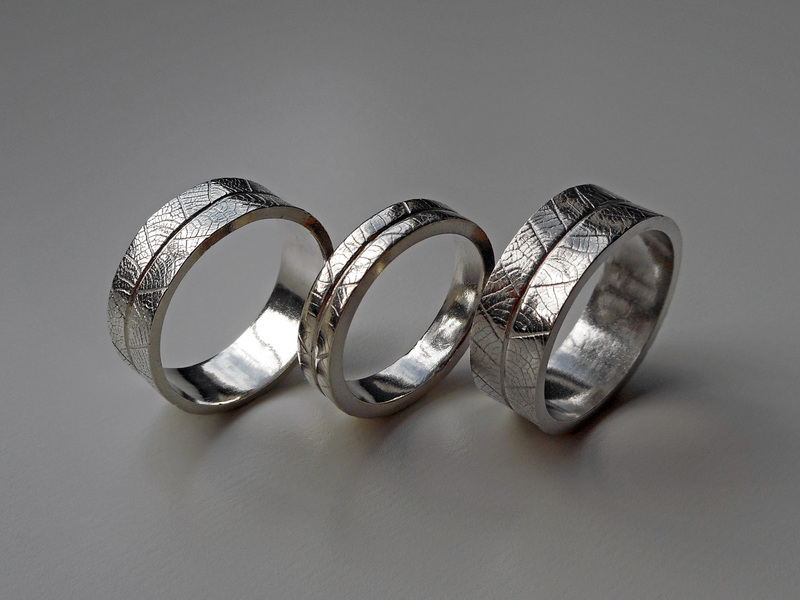 Discussion of other metal clay ringmaking options such as ring liners and ring bands. 25g “PMC 960” .962 silver metal clay. You are welcome to bring your favourite texture sheets or your own metal clay toolkit if you have these and would like to use them instead of the loan equipment.